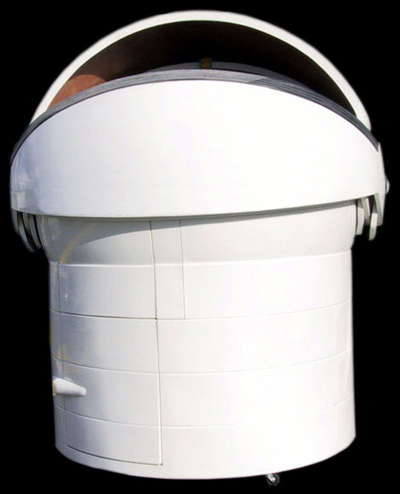 Aphelion's observatories are the most practical solution for all your scientific observational desires. 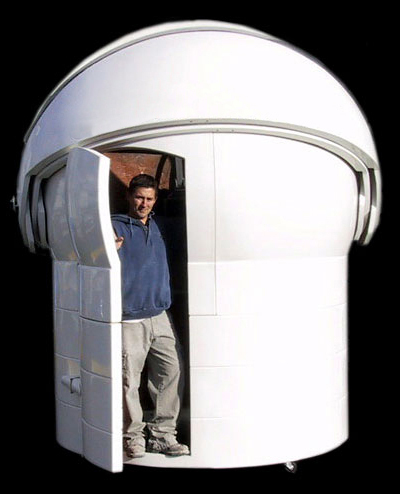 We manufacture the observatory that's right for you. 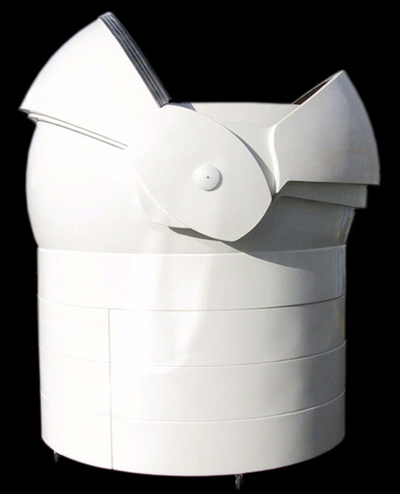 Whether you are a Government body, educational institution, private enterprise or someone who has a passion for celestial viewing. 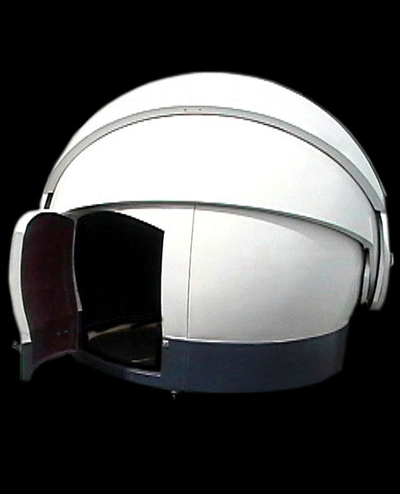 We offer a variety of options to customize your clamshell observatory dome. 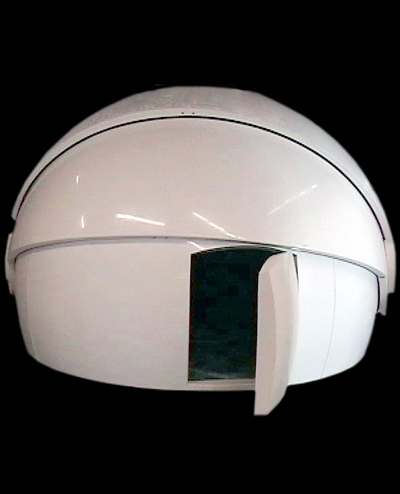 Our most unrivalled feature is our large, lockable door which is available on our seven foot and twelve foot freestanding observatory domes. 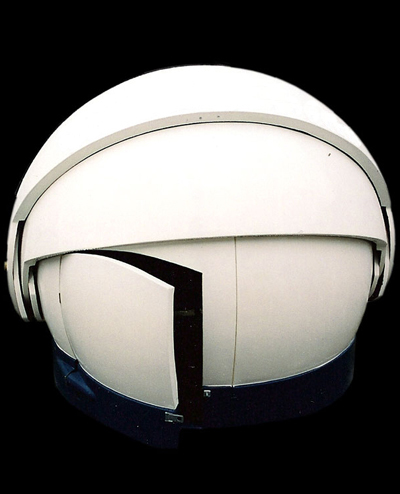 At Aphelion we guarantee that our observatory domes will exceed your expectations. 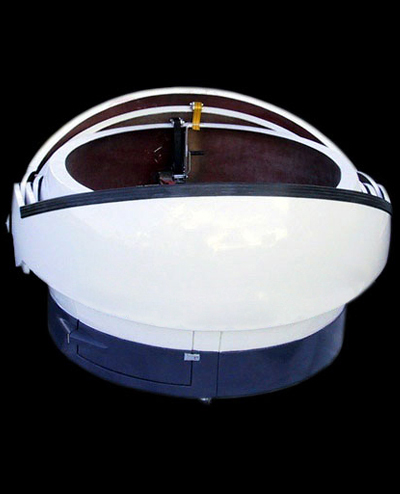 Hi, I am very happy with the 12' freestanding dome I purchased from Aphelion in 2004. Attached are a few pictures.  We live in Las Vegas and I work the dome in Arizona from home using GoToMyPC.